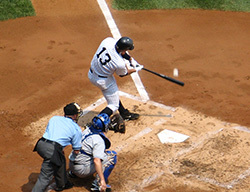 Alex Rodriguez is one of the most prolific baseball players of his generation. The youngest person to reach both 500 and 600 home runs, Rodriguez was a player to watch out for since the beginning of his career. He showed promise as a high school baseball player in 1993, and was soon drafted by the Mariners. A-Rod's performance in the minor league was good. His debut at the major league came in July 8, 1994 at Fenway in a game that was lost 4-3. This game features a triple play that was unassisted, in the sixth innings by John Valentin. He caught the first liner for hit and run, stepped onto the second, and then tagged the third player coming in from the first base. The Red Sox had hit 3 home runs in the 6th innings of the game. Rodriguez got his first chance in the 5th innings. It was a grounder thrown by Scott Fletcher, which he flipped at the second to begin double play. A-Rod followed this by scooping the grounder and throwing it to Mike Blowers who was at the first to bring the innings to an end. Rodriguez came in at number 9, one of the rare times in his long career, and went down to a not-so-great 0-3 against the pitcher Chris Nabholz. This game looked to be among the most interesting games of the whole MLB season of that year. Rodriguez didn't begin his career in the big league with memorable quotes after his first game. He simply commented that the game was good and he had a lot of fun. He went on to praise Valentin for his triple as well as homer in the game and said he hoped he could replicate that feat. The final score of the game read Red Sox – 4 and Mariners – 3. Rodriquez eventually got his first shot on the next day, which was also a first win for him. This game also had the first base steal from Rodriguez, though the first homerun from his bat came in 1995. During February 1995, when the strike had still been going on, another South Floridian Jose Canseco quoted about Rodriguez that they were friends and trained together. 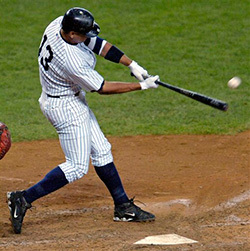 He went on to compliment A-Rod by saying that he saw a future baseball superstar in him. According to Canseco, Rodriguez was the best player he had seen for the past decade and he believed that Rodriguez had the ability to hit 30 homers and steal 30 bases in every season. The 1995 season saw Rodriguez bouncing between AAA Tacoma and Seattle. He excelled at Tacoma but had struggled with Seattle. Rodriguez was there on the deck when Martinez had hit a double to win the ALDS for the Mariners against the Yankees. He also once famously comforted Joey Cara who was crying over the exit of the Mariners from the postseason after losing the sixth game of ALCS at Kingdome to Cleveland. By the start of 1996, A-Rod was ready to start being the superstar he became later on.